The Cambro 1826CCW135 Camwear® food storage cover snaps onto containers to create a tight seal that will not come off during transportation. 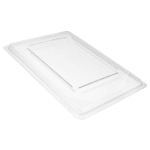 This tight seal also helps maintain product freshness and reduces the risk of contamination. It is made of polycarbonate, resisting most dents and scratches, and the clear material enables product visibility. 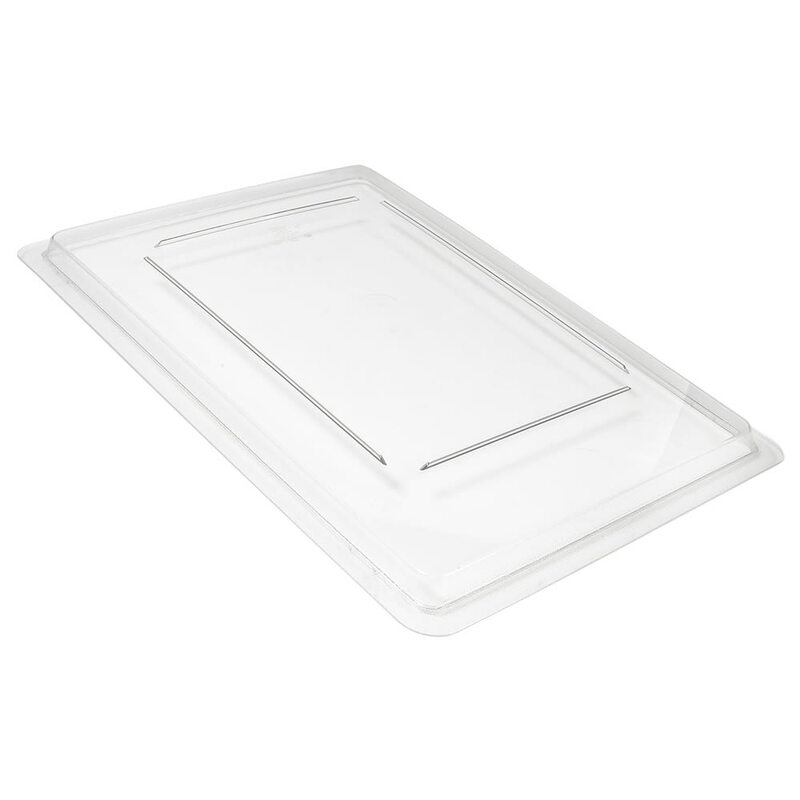 Molded-in rails on top of the Cambro 1826CCW135 Camwear food storage cover enables it to be securely stacked with food boxes.